Published on March 30, 2015 in Culture, General T&T, People's Partnership, Politics, Religion and UNC. 8 Comments Tags: Kamla Persad-Bissessar, Politics, Shouter Baptist Liberation Day, T&T Govt. 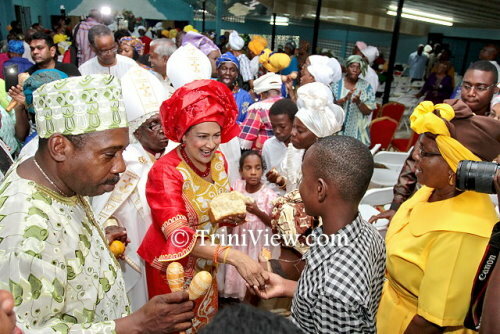 Prime Minister Kamla Persad-Bissesar joined the Baptist community to celebrate Spiritual Shouter Baptist Liberation Day at the Empowerment Hall in Maloney.